Fenton Estates - Upgraded features include fresh interior paint, refinished hardwood floors, and new plumbing. MLS#2247132. 4823. Scottish Hills - A home like this does not come along often, so don’t let it pass you by! 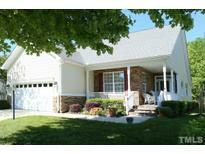 MLS#2247102. 4247. Greystone - Great wake county schools. Washer, dryer and refrigerator MLS#2247091. 872. Evergreen - Freshly painted exterior, steamed carpets, and tons of potential ready for someone to make it their own! Hurry! ! MLS#2245418. 4788. Barrington - Two bonus rooms & finished 3rd floor. MLS#2245780. 1710. Macgregor West - .4 miles to Apex Community Park. Drone Video available. MLS#2245483. 1688. 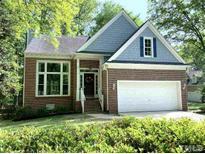 Southbridge At Cary Park - This home has so much to offer! 1 yr AHS Warranty. MLS#2246784. 266. Irrigation system. Built-ins in family and sunroom. MLS#2246677. 3265. Prime Cary Location off SW Cary Parkway, Stunning Estate Homes - Barrington plan with 3 Car Garage, Bonus Room, Screened Porch, 10 Ft. Ceilings main level, Deluxe Gourmet Kitchen, huge island, open concept, Guest Suite 1st floor., Master Suite with Gorgeous Master bath includes Deluxe Shower and many Luxury Features! Move in ready in June MLS#2246916. 3789. Lochmere - Large bedrooms! Walk up attic! HURRY! MLS#2246922. 5026. Macgregor Downs - Easy walk to MacGregor Downs lake, golf course, pool and club! MLS#2246662. 986. Cameron Pond - Screen Porch with deck, fresh painted entire house! MLS#2246952. 177. Olde Carpenter - Screened in porch with see through, stone-front fireplace. Amazing opportunity! MLS#2246897. 2731. Walk to parks, green ways and entertainment. Call today for an appointment MLS#2246814. 2826. Macgregor Downs - Seller is licensed real estate agent. AS IS. MLS#2246933. 3313. Weldon Ridge - Easy access to RTP & RDU via 540 or internal roads. MLS#2246930. 1685. Relax on your screen porch with your morning coffee or evening cocktail ! MLS#2246394. 3770. Enjoy Harmony's amenities: Pools, tennis, clubhouse and playground. MLS#2246676. 1710. 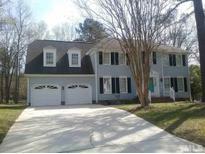 Wellsley - Enjoy the view of the pond and tranquility of the back yard from the large screened porch. Swim and tennis community. MLS#2245655. 633. Easy access to I-540 & Hwy 55. 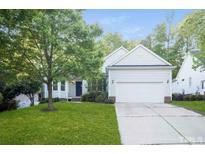 Minutes to RTP, RDU Airport MLS#2246735. 3051. Harmony - Community features pool, tennis courts and clubhouse. Great location! ! MLS#2246208. 4772.